On December 25, 2013, the Public Broadcaster of Ajara TV and Radio was founded with amendments to the Law "On Broadcasting". LEPL Public Broadcaster of Ajara TV and Radio is a legal entity of public law that is operated by public financing, independent from the government and accountable to the public, which is not subject to any state agency. The organization is created free of political and commercial influence, which aims the delivering diverse programs to the public, relevant to public interests. It is important that the freedom of the broadcaster's activity, the scope of interest and accountability is provided by the Constitution of Georgia, international acts, the Law of Georgia on Broadcasting, the Law of Georgia on Freedom of Speech and Expression with the program priorities set by the Board of Advisors of the Broadcaster. • Ensure equality of public interest among news, socio-political, educational and cognitive, cultural and sporting programs. • Provide timely and comprehensive information to the audience about Georgia, its regions and important events in the world. • Reflect the pluralism of ideas in society. • To take into account the interests of persons with disabilities in the course of the election campaign, and in the course of the referendum / plebiscite, to provide the surrender translation in its programs related to the elections / referendum / plebiscite. • To fulfill with appropriate proportions programs in minority language, about minorities and prepared by minorities. • To ensure the main directions of Georgia's foreign policy, including the North Atlantic Treaty Organization (later NATO) and the EU integration. • Provide timely and comprehensive information about the events related to the occupied territories of Georgia. The broadcaster operates in accordance with the Constitution of Georgia, the European Convention on Human Rights and Fundamental Freedoms and the Case of the European Court of Human Rights, so that the freedom of speech and expression can be maximally inviolable in the Autonomous Republic of Ajara and Georgia. The head office of Ajara TV is Batumi, 41 Memed Abashidze Ave. Radio is located on the address - Batumi, 57 Memed Abashidze Ave.
At first Ajara TV was broadcasted on November 4, 1987. Radio has started broadcasting in the in the thirties; after which on May 10, 1932, the Ajara Radio Committee was created with the Adjara CEC. Ajara TV and Radio broadcasting status was granted on December 25, 2013. Coverage Area: Europe, Central Asia, North Africa, Middle East. Radio broadcasts on the wave: FM104,5. Coverage Area: Ajara and its neighboring regions. Legal Status: Legal Entity of Public Law. The Central Committee of the Communist Party of the Soviet Union adopted a resolution to open local television in Autonomous Republics. In 1983, the Head of the Communist Party of the Central committee -propaganda department arrived in Batumi. The meeting was held in the meeting hall of the Council of Ministers, where the decision was made to start immediately work on creation of TV and Radio broadcasting in Ajara. Georgia's TV center was ordered to install Batumi-Green Cape relay line and arrangement of Batumi TV station for Georgian TV and Radio. Amiran Vadachkoria was appointed as the first chairman of Ajara TV-Radio Commission. Anzor Talakvadze headed technical service of TV studio. On 9 March 1987, the Council of Ministers of Georgia created a headquarters, which was ordered to construct a TV studio. The headquarters was headed by the Minister of Housing Utility Zaur Patladze. Ajara Enterprise and Agricultural organizations donated millions of hundred thousand rubles from their own funds to buy telecommunication. The work was directly controlled by the Chairman of the Council of Ministers of the Autonomous Republic Guram Emiridze and the Secretary of the Party Committee Natela Dumbadze. Lamara Bolkvadze was appointed as Director of TV. 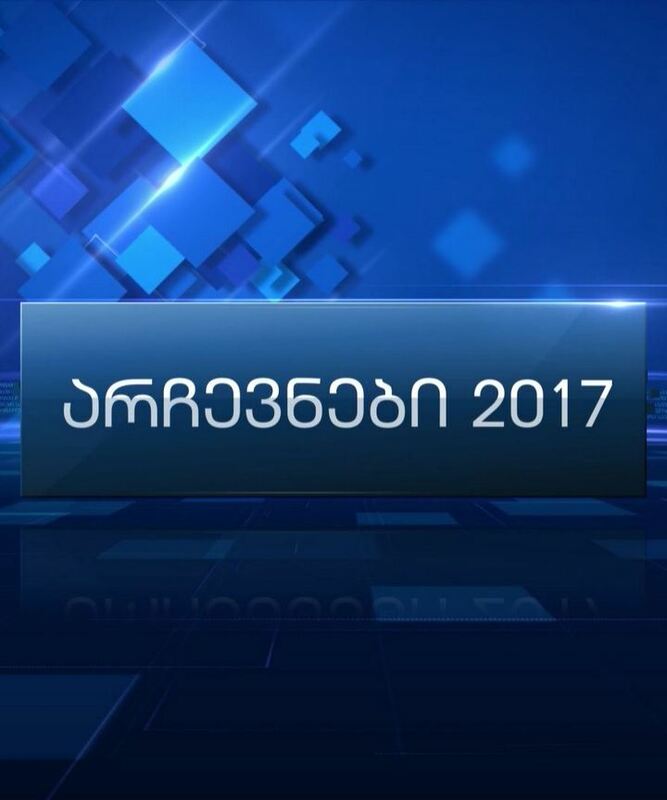 Television staffing process started in Georgian television. The introduction of Ajara TV's first sketch (so-called hat) belongs to the artist Mzia Khalvashi, music - Jansug Kakhidze. Arrangement of melody Vakhtang Kakhidzeadze's. The computer graphics of the sketch was created in "Otankino". A moving television TV station has been installed to provide broadcasting to Ajara TV. At firs Ajara TV was broadcasted on November 4, 1987. The first editor of the program, journalist Anzor Zambakhidze started with the words: "Speaks and shows Batumi". Information-music program of Ajara TV was 45-47 minutes by the means of the first channel signal twice a week: on Tuesday and Friday. The Green Cape's tower switched on the local signal from 18.00 to 19.00 pm. Since 1997, Ajara TV received 37th decimeter channel. Television has moved on to prepare daily programs. On Metric Range Ajara TV used only first Tv channel signal for news broadcasting only after 22 hours from the Green Cape. In autumn of 1999, Ajara TV moved to satellite broadcasting. It is the second television channel after the first channel, which was spread by satellite signals. The French satellite - "Globe cast" provided the distribution of the signal of Ajara TV to Eurasia and the American continent. On December 25, 2013, Ajara TV and Radio Broadcasting status was granted. Soso Sturua, the First Director of Ajara TV and Radio under the status of the Public Broadcaster, has been elected by the Advisory Board for three years term. For 30 years, Ajara TV has created a unique archive of the history of our country. The Foundation preserves the chronicle of political life of Georgia, portraits of outstanding people, ethnographic pictures and cultural events, original programs and projects. Today Adjara TV provides 24 hour broadcasting. The program is loaded 18 hours. The news is broadcast on live four times during the day. The broadcaster has the opportunity to provide direct broadcasting from place to place and organize reports, direct switching equipment and satellite broadcasts from any point of coverage area. 313 employees work in Ajara TV. Television has 5 correspondent points. Including three in the region, one in the parliamentary city Kutaisi and one- in the capital city. The development of Radio broadcasting begins from installation of Military-purpose radio stations in Georgia. In 1918 there was a small Military-purpose transmission station in Tbilisi. It was connected with Kars, Baku, Yerevan, Astrakhan and Saratov. Small power radio-reciver were functioning in Batumi and Poti. From the port of Batumi, the wave radio network was strengthened in the water area with the incoming ships. The chronicle of 1921 says that Kaisyim Bay seized radio wave while taking Batumi. The history of Georgian civil and broadcasting radio starts in Tbilisi on May 23, 1925. In the same year, according to the decision of the Central Committee of the Communist Party of Georgia, the Society of Ajara-Radio was created and started to set up radio stations in mass gatherings. On May 26, 1925, Batumi received first receipts from Moscow by means of radio. The exact date of the first radio broadcasting is not documented. Estimated dates range from 1928 to 1932. In this period of time it is possible that local programs of local agency have aired in radio. At that time, Moscow or Tbilisi radio channel must be technically inserted in Batumi radio station. According to one of the versions, Ajara Radio provided the population with information about receiving Moscow radio signal. That means, on May 26, 1925, Batumi by means of radio receivers received from Moscow first reception, using the same channel information about this event. It is possible to view this as a symbolic day of the birth of Ajara. In Ajara State Archives stored the document on 10 May 1932 on the creation of Ajara Radio Communications Committee in Ajara Autonomous Republic. Alexandre Mikeladze was appointed on the post of the trustee of the Radio Commission. The first document on radio programs in the State Archives of Ajara dates back to 1 November 1937. It’s represent a journal for registering radio programs. Broadcasting was extended by the Batumi City Node until the 50th years. From the 50th the population has been provided with a short wave transmitter radio station, and since 1968 a 30-kilometer-long midwifery station has been launched. The average length of waves spread throughout almost all of Western Georgia. Ajara radio could catch the population of Georgian villages in the Turkish borders. During this period the broadcasting of Ajara radio included three hours: from 10.00 am to 11.00 am, from 17.00 pm to 19.00 pm. Since 1998 the time of broadcasting of Ajara radio has increased to 8 hours. Since 2001, Ajara's radio satellite station covers various parts of the world. From now on, broadcasting is 24 hours. Ajara Radio has created a unique golden foundation in its existence, where the sounds of Georgian writers, poets, artists and state figures are protected. The oldest film is recorded in 1953. Galaktion Tabidze reads his masterpiece - "Mtatsminda mtvare (moon)". The Ajara Radio Sound Foundation has been kept regularly since 1956 in the state archive of Ajara. Public Broadcaster's status provides independent editorial policy, the Board of Trustees defines program priorities and monitors their implementation. On October 24, 2016, the Board of Advisors chose Natia Kapanadze to the position of Director of the Public Broadcaster. Natia Kapanadze carries out her authority since December 21, 2016.